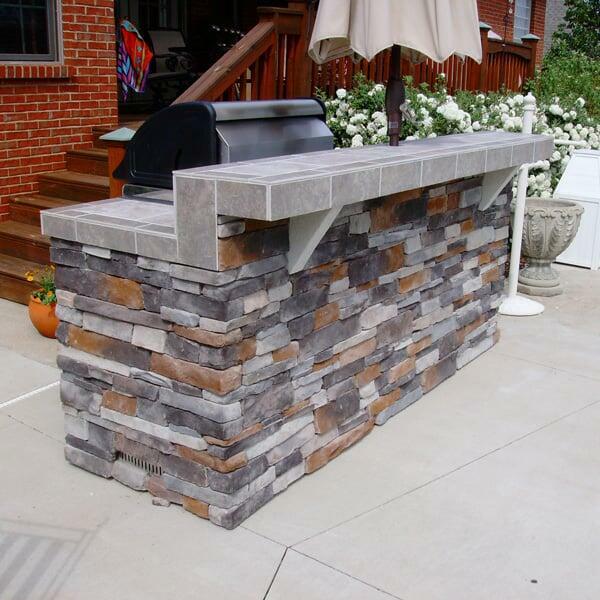 Simple yet elegant, the "Cane" Grill Island Project by Leisure Select offers everything you need in a Grill Island to make your weekend cookouts a success! Options are nearly endless with Outdoor Rooms, giving you the chance to add a grill, fridge and even sinks and stereos to your backyard fun! With the "Cane" Grill Island Project you gain everything to get those weekend cookouts going, with a built-in a gas grill, storage, shelves, 110v outlet and even a refrigerator. Note how the stone in this grill island matches the patio material and the exterior of the home. Everything and anything in our grill islands can be completely customized to your heart's desire. So if you unsatisfied with the look of this grill island, then don't panic! 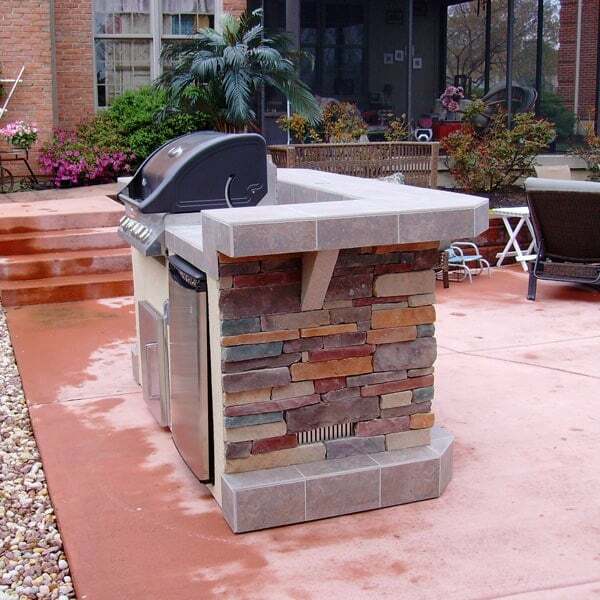 We have many options of tile, rock and stucco, from the color to the size and shape, so we promise we can build a grill island to match your home or patio's look! Make your weekend cookouts a must-visit event in your neighborhood with the "Cane" Grill Island Project from Leisure Select!